FREE Event for children aged 7 to 12. Artist and author Leigh Hobbs is best known for the twenty children’s books he has written and illustrated featuring his characters Old Tom, Horrible Harriet, Fiona The Pig, The FREAKS in 4F, Mr Badger and Mr Chicken. Old Tom was adapted into a popular Television series, Horrible Harriet was adapted for The Sydney Opera House stage and ‘Mr Chicken Goes To Paris’ was shortlisted for the Prime Ministers literary Awards in 2010. 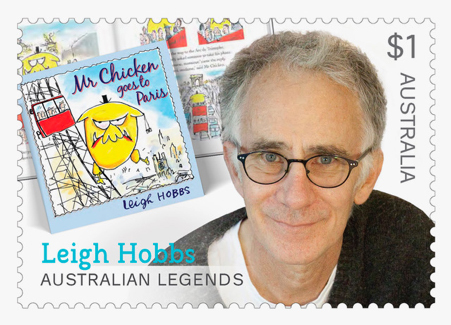 Leigh was Australian Children’s Laureate 2016 -2017 and was one of the five writers awarded an Australia Post Children’s Literature Legends stamp in 2019. FREE event. Bookings need to be made through the Woodend Library.